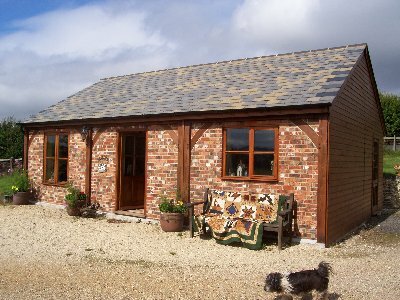 LORNE HILL FARM: A busy week! What a busy week - and it's been so hot!! The garden, which I'd deserted in the belief that Autumn was just around the corner, looks a blaze of colour (from a distance anyway, - close up you see the millions of dead heads among the flowers) and our grey goose is still busy laying eggs. The knitting workshop monday evening is coming along nicely - I've started making a patchwork blanket of knitting stitches. I'm currently on the first square which so far is 2"x3" - but we all started somewhere! 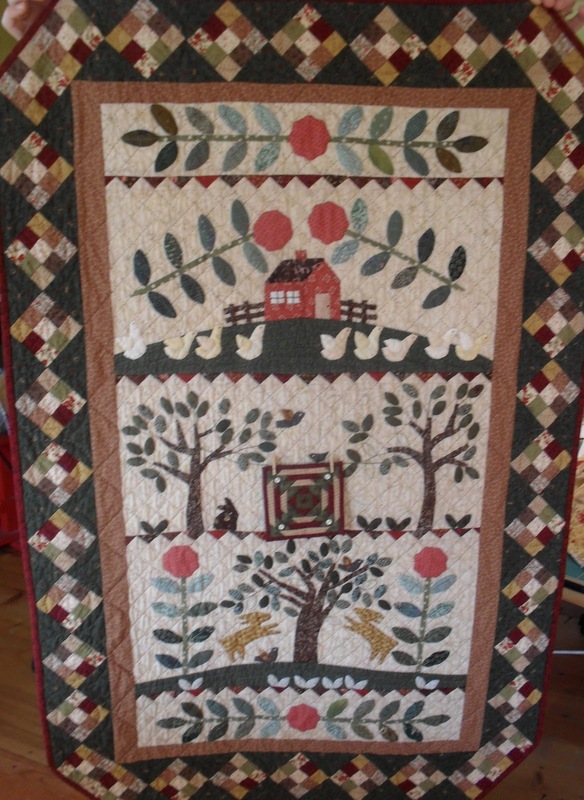 Wednesday the workshop was bursting at the seams with everyone working on their Medallion Quilts with Lynne Johnson. Jonathan was dagging sheep outside and he asked what all the laughing had been about. 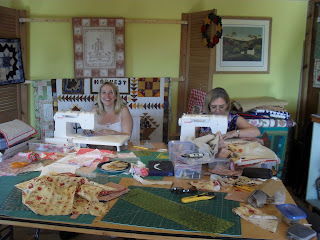 We had no idea, we were all taking our sewing very seriously indeed! Fay working hard and Anna doing what she did all day - laughing! Clare hid! 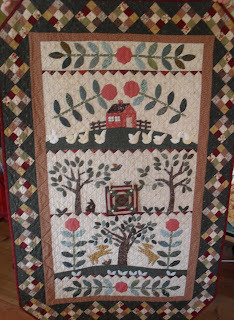 A beautiful piece and Jackie's quilting is perfect. 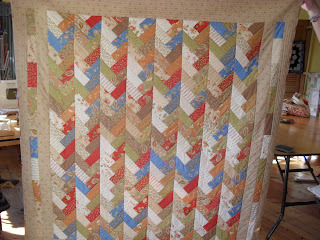 I can't wait to finally make this with my jelly roll - it's started to fray because I keep handling it but not making anything from it! 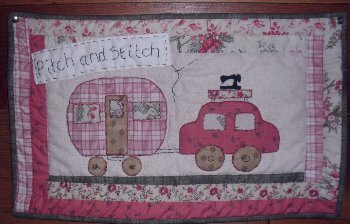 I can't be at Pitch and Stitch on Tuesday because I'm working (Sandra's in charge!) 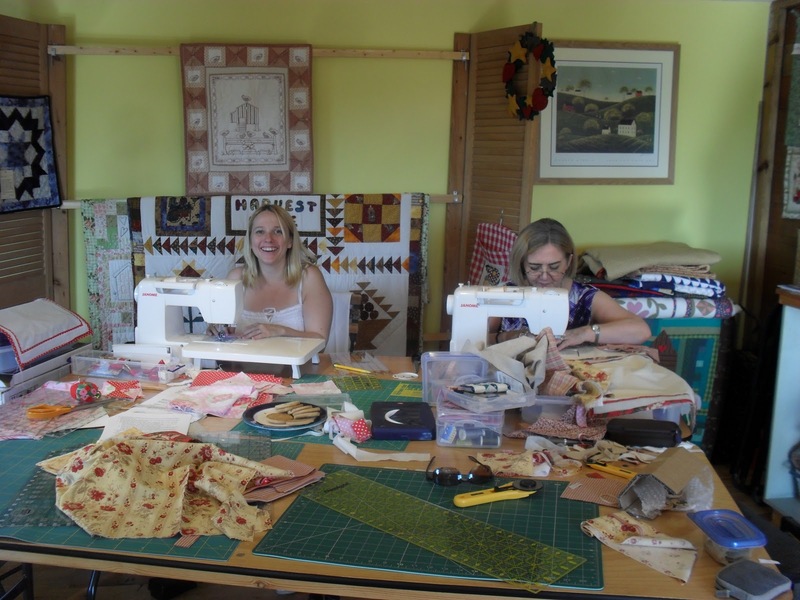 - but I'm looking forward to the Trip Around the World workshop on Wednesday - a brilliant way for beginner's to get their heads round rotary cutting and quick-piecing. And Finally - best wishes to Sandra's son James, and Lucy, the new Mrs Kidwell, who got married yesterday! !